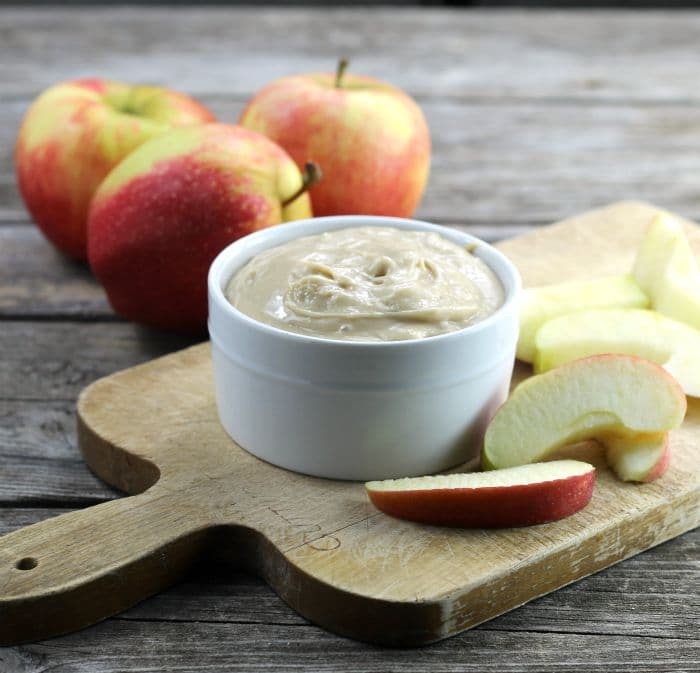 This cream cheese apple dip makes the perfect afternoon snack or serve it at your next party, you may want to make a double batch because it has a way of going fast. September 22nd is in a couple of days, which brings the first day of fall. And fall means that it is apple season. 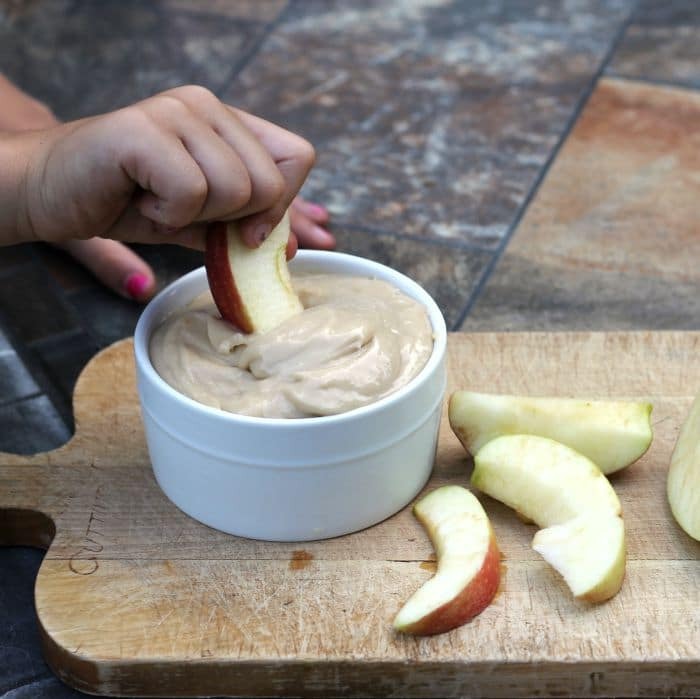 Although apples are a favorite fruit in our house it never hurts to whip up a batch of this cream cheese apple dip to go along with the apples. I made a batch of this last week and served it with dinner. Later on in the evening when we were playing games I set it out so that we could snack on the apples and dip. 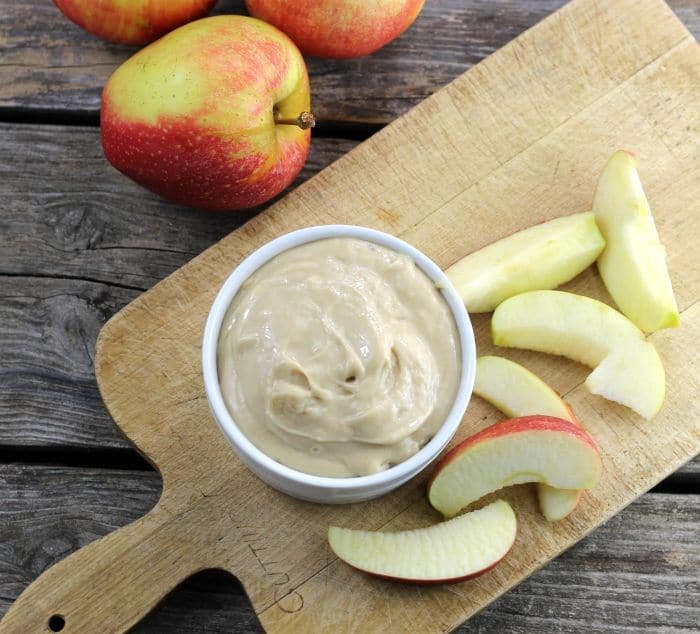 The adults, as well as the grandkids, were dipping their apple slices in their dip and loving every bite. 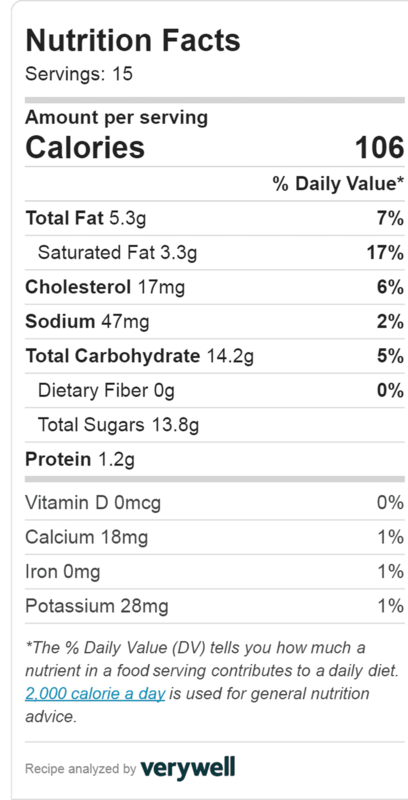 How do you make this cream cheese apple dip? To make this dip start out with cream cheese that is at room temperature. Beat it with an electric mixer until it starts to get fluffy. Add brown sugar, sugar, and vanilla and continue to beat until it is well blended and creamy. Serve with sliced apples. 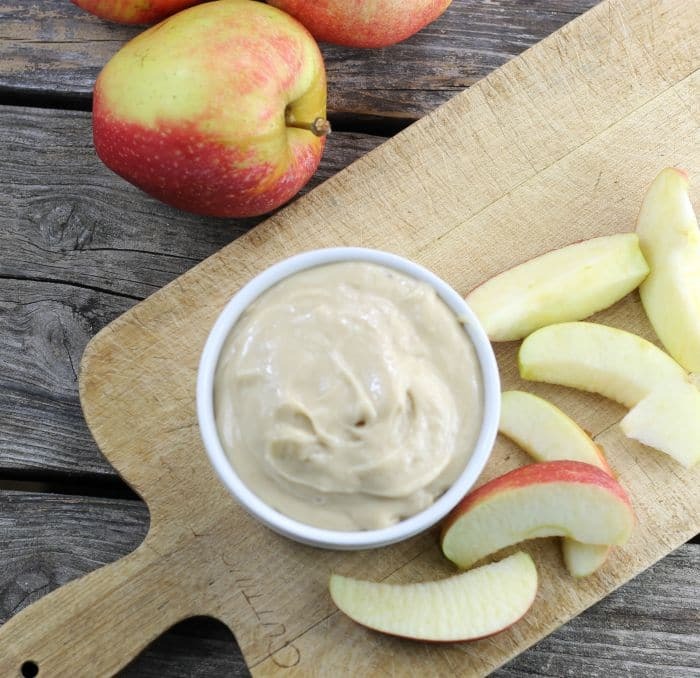 What apples are best to serve with cream cheese apple dip? In a medium bowl beat the cream cheese with an electric mixer for about 20 seconds. Add the sugar and the brown sugar and continue mix until well combined and cream Beat in the vanilla. Serve with your favorite apples. Fall is definitely the apple time. This dip comes just in time, Dawn. Hey Dawn! I love, love, love this idea and even though I can’t eat the dairy, I think I can come up with something similar. Thanks for the idea. I’ll email you when I make it. Apple dip sounds super duper fun! I love the simplicity of this recipe…indeed a great snack…the cream cheese sure adds a nice kick. Have a wonderful week Dawn!